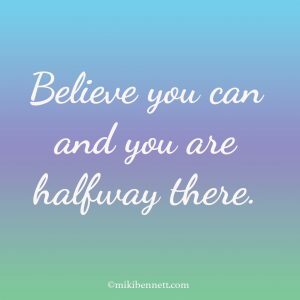 A Little Inspiration: Believe In Yourself! This quote is so true. If you start with the belief you can, you have begun the journey toward your dream or goal. Belief in yourself is so powerful – just harness it to begin.